The LAVC-2000-D, Large Animal Anesthesia Machine, offers the same control over the patient as the LAVC-2000 Large Animal Anesthesia Machine but adds the ability to passively breathe with a 30L or 15L bag. The absorber canister is mounted on the side to allow the bag to hang properly and with the switching of a single hose you can switch between the bellows and the bag. This allows for another level of control and safety. 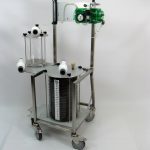 JD Medical is always willing to work on custom options and specifications for any of our products. Please let us know if anything specific is required. 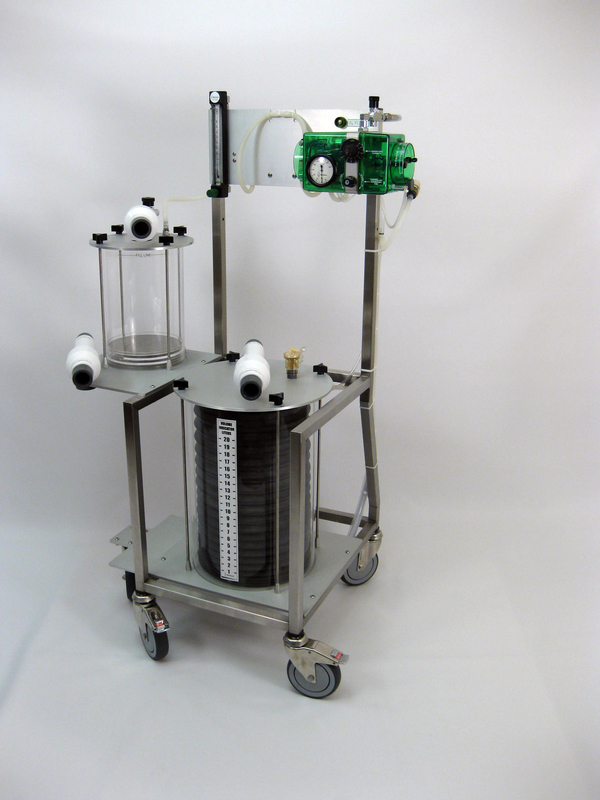 This Large Animal Anesthesia Machine can be modified to meet any need or special use. Please contact JD Medical today for more information.